Police, Guns, Action – How Safe Were the Pilot Badger Culls? The British government’s policy to rid England’s cattle of bovine TB by culling badgers is unravelling, falling to pieces bit by embarrassing bit as more information is disclosed. Last year’s pilot culls were meant to test whether killing badgers by controlled shooting would be “effective, humane and safe”. Not safe for badgers but for the public trying to prevent the killing. So ineffective has it been that the government has decided not to allow any independent monitoring of this year’s culls, a decision which may just get the British Veterinary Association off its fence and withdraw its backing for culling. In its report on last year’s pilot badger culls, the Independent Expert Panel (IEP) judged that though the culls failed the criteria for effectiveness and humaneness they had satisfied the criteria for safety. The facts say otherwise. How “safe” were the data used by the Animal Health and Veterinary Laboratories Agency (AHVLA) to study effectiveness and humaneness? Their reports overflow with assumptions and estimates, mostly for lack of full or reliable data. To be effective, each cull had to kill 70% of the badger population within the cull area. In 2012 “trained” culling-company operatives surveying for active badger setts in Gloucester cull area misidentified 10.3% as being active; in Somerset an astonishing 27.3% were misidentified. In 2013 they tried to achieve a more accurate picture of the number of badgers through “hair trapping”. The populations were then “safely” estimated at between 862 to 1948 badgers in the Somerset area, and 1394 to 3242 in Gloucester, much lower than the previous year’s estimates. Even on the lower figures, cullers failed to achieve their targets. The AHVLA noted that data supplied by the culling companies “were not audited and therefore of unknown quality in terms of their accuracy, completeness and reliability.” Further, when looking at how many shifts each contractor (culler) put in, they said “data on the duration of shifts were questionable”, with many shifts lasting for less than an hour and some apparently lasting for several days. The effectiveness of those doing the culling proved so poor that the AHVLA judged (on unsafe data) that in Somerset an additional 1950 to 5200 contractor-shifts and in Gloucestershire an additional 4000 to 10000 contractor-shifts were needed for the removal of at least 70% of the badger population. If, of course, one knew what 70% of the population was. Most of the culled badgers were incinerated. It is suspected that numbers were inflated by adding road-kill carcases. There is evidence that a culler from Gloucester was driving regularly to the Stonehenge area of Wiltshire to bait setts, presumably to acquire more carcases. English Heritage, which looks after Stonehenge, confirmed illegal culling had taken place. Badger carcases submitted by the contractors to the AHVLA for autopsy “raised concerns pertaining to contractor compliance”. One carcase had not been shot but had been in someone’s freezer. Another had been shot after it was dead. Natural England Compliance Reports show how inadequate the monitoring of the culling was. 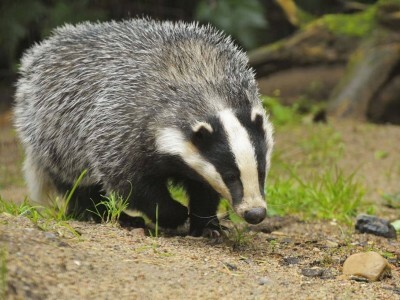 In 41 visits NE monitors only witnessed nine badgers killed by “controlled shooting”. All contractors were issued with electronic identity tags (EID). All culled badgers had to be tagged then bagged, and the bag itself tagged with the shooter’s EID, whether the carcase was to be incinerated or autopsied. The “humaneness” of controlled shooting was thus judged almost solely on the small sample (88) of badgers shot while an observer was there to record the shooting. For some they had a fairly accurate time of death. Others ran off and their bodies were not found straight away. The carcase of one badger was only discovered 2 hours after it had been shot. The body was still warm. How much unobserved badgers suffered is a terrible unknown. Clearly rules were not being followed. Cullers were also acting illegally, and the police were unprepared for this. Licences granted by Natural England required that gunmen operated in pairs, one to shoot and one acting as a safety observer. Yet cullers were often seen operating alone with police unaware this was a criminal offence. Initially the police acted under the assumption that everything done by the culling companies would be legal and all protest would be not only illegal but potentially violently disruptive. They were unfamiliar with the Best Guidance Practice rules the cullers had to follow, ignorant of cull area boundaries and where cullers could or could not operate. In both Somerset and Gloucester policing towards protesters could be aggressive – and ridiculous. In Somerset police searching a man’s car for a dead badger looked in both the glove compartment and a crisp packet. The officers are facing disciplinary action. People were arrested then “de-arrested” when it became clear they had committed no offence. Gloucester produced the only case of someone being charged for breaking the NFU injunction against trespass (also for possessing a torch, which her husband was holding). The police were taken aback to discover that “protesters”, far from being violent, were articulate, well-informed Middle Englanders who knew their law and were willing to engage with the police – with the result that both Gloucester and Avon & Somerset Forces are now liaising with badger groups and reviewing their policing methods. But months after the culls ended, officers are still working on complaints and legal issues. Somerset Against the Badger Cull told of a woman who, sitting in her car while phoning the police, was badly bruised by two men trying to wrest both her phone and her car keys from her. “Crow-scarers” were fired at cars. How could such violent people have got official permission to organise and carry out the culls, particularly those doing the shooting? All cullers needed a current gun licence, but what about background checks and risk assessments? Assessments that the Gloucester Police solicitor said were “unnecessary”. Whose responsibility is it to ensure public safety under such circumstances? Given the tense atmosphere of the culls, one wouldn’t want any culler with a record of violence. Short fuses and guns do not make for safety. NE who issued the culling licences said their requirements were simply that cullers had done the required training, were good marksmen and had current gun licences. The police granted gun licences, therefore the police “would do the background checks”. But gun licence conditions vary from county to county. Was NE aware of this? In Gloucestershire the shooting of “any lawful quarry” is not permitted. To enable the cull to take place all Gloucester gunmen had to apply to have their licences amended. Cullers were recruited from other counties as well as Somerset and Gloucestershire. Who checked whether their gun licences needed amending? Who checked, particularly in the event of a licence being revoked because of an offence, if the licence had been legal in the first place? An independent source disclosed that Gloscon, the company set up to run the cull in Gloucestershire, had a “constantly changing list of gunmen”. As gun licences were revoked new names were put forward on a regular basis (my emphasis). This suggests that cullers were regularly having licences revoked for acting illegally and threatening public safety. So it really was sheer luck for both the public and the police that the “near misses” did not become major incidents. How “safe” was that?